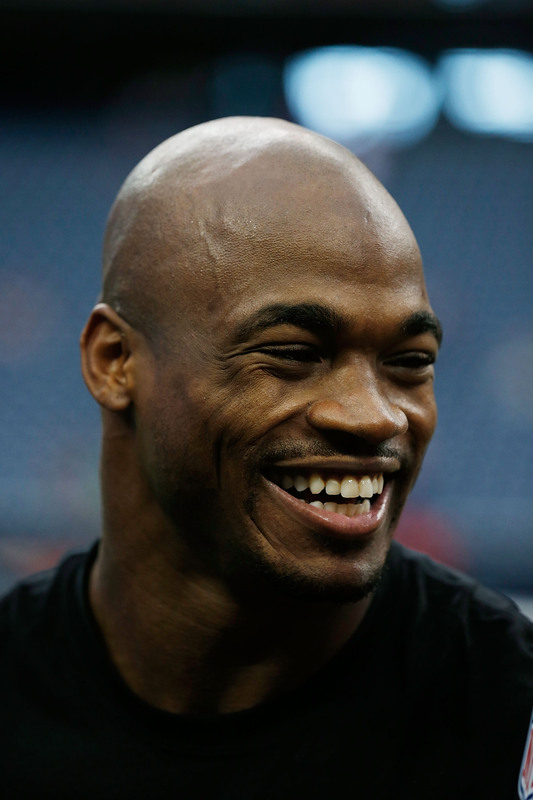 In the NFL, most would agree that Adrian Peterson is one of the best running backs in the game. Last year, he came just 9 yards short of the single season rushing record. While Peterson would have loved holding that record, he has higher ambitions. Peterson said that he intends to break Emmitt Smith’s career rushing record. Not only did he make this a goal, he put a date on it. Peterson said that he thought he would break the record in Week 16 of 2017. Now that’s a prediction. It’s a noble thought, but keep in mind that Adrian Peterson is 28 years old, and it’s very tough to stay healthy in the modern NFL. Plus, Peterson likes to embrace contact, whereas Smith was very good at avoiding it. That stuff matters. 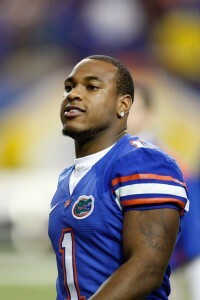 And in an update in the Percy Harvin situation in Seattle, it looks like the receiver has opted to undergo hip surgery. This surgery will sideline Harvin for 3 or 4 moths. So, starting today, if that holds true, Harvin would likely miss 8-10 games in the regular season. But if the Seahawks can stay competitive (which they should), then Harvin’s return will offer a BIG boost in the second half of the season. Finally, In the NBA, free agency season is starting to wind down, as the marquee players have found their homes for next season. However, there are still some deals that jump up and surprise you. Tuesday, the Pistons traded for Milwaukee Bucks’ star point-guard Brandon Jennings. In exchange, they sent over their up-and-coming point guard in Brandon Knight. This was a money-saving move for the Bucks, and a “We’re back” move for the Pistons. Just this off-season, the Pistons got Josh Smith and Brandon Jennings, plus they have two emerging stars in Andre Drummond and Greg Monroe down low. This will be a very interesting team in the fall. 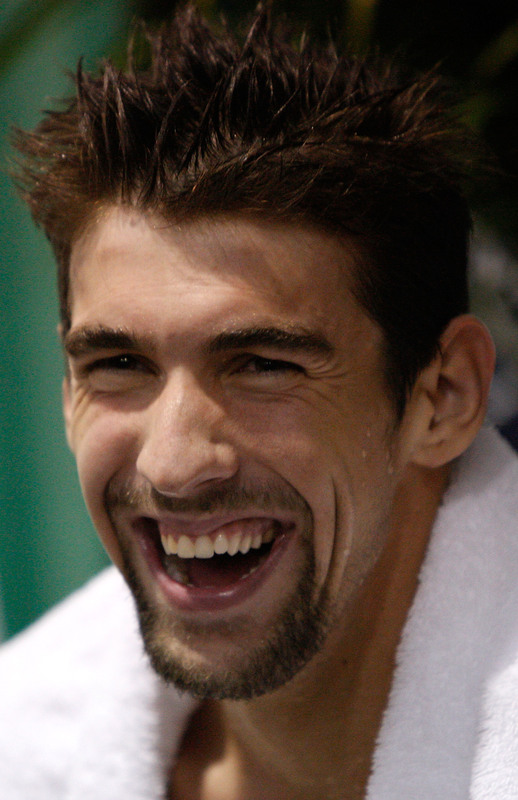 When Michael Phelps finished winning a career-high 22 gold medals, he said that this past Olympics was his last. He is the most dominant swimmer in swimming history, and one of the best Olympians ever period. But now, when people have been asking if he is coming back, he says… he’s not sure. Phelps recently said he was super happy with his life, and didn’t miss the grind that it took to get in the best shape in the world (plus we all remember his envious 8000 calorie per day diet). However, you can’t stop a super athlete from competing. And Phelps recently said that he wanted to try and take up and perfect his golf game. In the NFL, Greg Jennings was definitely beloved by Packers fans during his tenure with Green Bay. But, the Packers decided to let him go for financial reasons and felt his services were no longer needed in Green Bay. Ever since he signed with the Minnesota Vikings, Jennings has been jabbering non-stop about what a selfish jerk Aaron Rodgers was. Apparently, according to Jennings, Rodgers isn’t big on gratitude or telling his receivers “good job”. 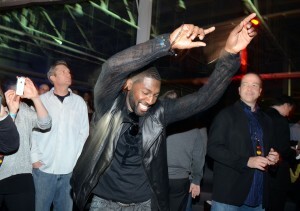 But now, Vikings coach Leslie Frazier has told Jennings to stop all the trash-talking and focus on being a Viking. Seems obviou. Frazier wants all his players living in the present, not the past. The Vikings are definitely a playoff contender this year, and they will need all their players to have the same goal going into the season. That means no more Rodgers-bashing. And finally, out of Jacksonville, the Team’s on-paper starting QB Blaine Gabbert suffered an ankle sprain. This happens all the time, but in Jacksonville, all the quarterbacks are so unimpressive and so lackluster, that it didn’t even discourage their new head coach Gus Bradley. He knows they have a stable of eager quarterbacks, and he simply said “Next man up”. Gabbert isn’t a franchise QB like a Tom Brady or Drew Brees, so even though he might be out for a bit, it didn’t even make Coach Bradley worry one iota. In the NBA, the Miami Heat may be back-to-back champions, but teams in the East are gunning for them hard next year. They definitely earned their championship this past season, but teams are only going to get stronger. And arguably their biggest foe, the Indiana Pacers, thinks they have the Heat’s number: size. The Heat struggled against the Pacers because they couldn’t find a defensive answer to Pacers big men Roy Hibbert and David West. Now, the Pacers have decided to go find more depth and athleticism at the forward position, adding big man Luis Scola. Scola isn’t just a big man, however, he’s an excellent offensive presence as well. He was wasting away on the lowly Suns, but should thrive in Indiana. Meanwhile, the Heat have yet to make any significant roster moves. However, many people think they will nab Greg Oden. But is Oden the answer? They may need more. 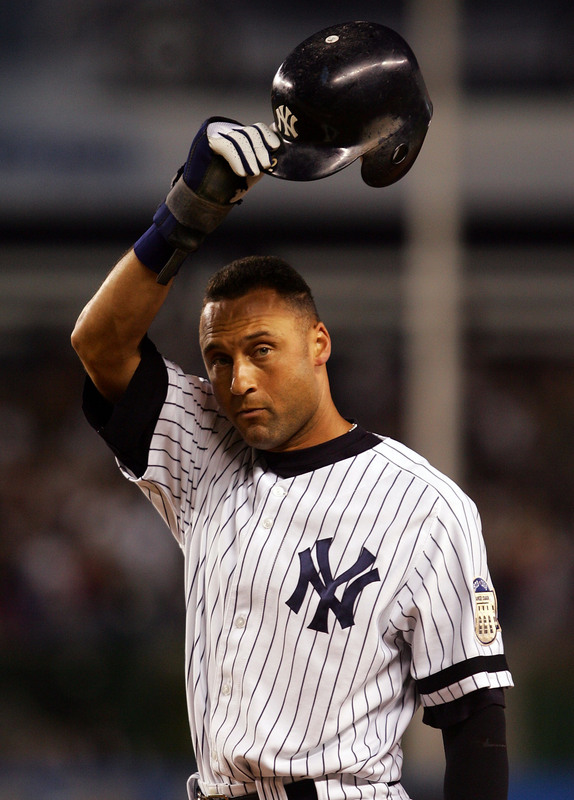 There has been a lot of buzz around the Yankees lately, especially since they have been without their captain Derek Jeter. Recently, the Yankees brought back Alfonso Soriano, who was their clutch star in their early 00’s decade dominance, and now they got back Derek Jeter. Jeter has been injured, and even played some minor league ball trying to recover, and Sunday against the Rays, they had Jeter back in the line-up. And on the very first pitch back, Jeter smacked a home run out of the park. Yankees fans went absolutely crazy and with Jeter and now Soriano, perhaps the Yankees can sneak back into the playoff hunt. NY Yankees 6, Tampa Bay 5. Finally, in some gossip news, Texas A&M Heisman winning quarterback, Johnny Manziel loves to party. In fact, every time we see the sporting news, there always seems to be a new photo of Manziel drinking or posing with some girl. Manziel thinks he is on a collegiate celebrity level, and that can pretty much get him into any party. This may be the case, but there is one party he wasn’t invited to. Manziel tried to go to a frat party on the University of Texas campus, and, in case he had forgotten, the Longhorns and the Aggies have been rivals for over 100 years. He got beer thrown at him, and was instantly booted out of the party. Johnny Football is lucky he walked out of there with all his bones intact. In the NFL, another quarterback is joining the $100 million dollar contract club. 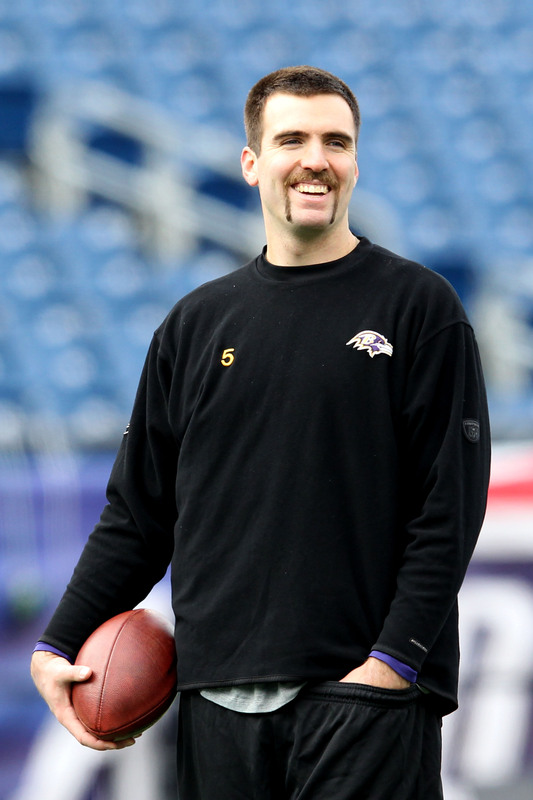 Joe Flacco had to win the Super Bowl to get his lucrative contract, and now the Falcons have locked up Matt Ryan as their franchise guy going forward. Ryan signed a 5-year extension that could be worth up to $103 million dollars. Ryan has put the Falcons back on the map since their Michael Vick debacle about 5 years ago. The Falcons are a perennial Super Bowl contender with a solid quarterback, a bevy of athletic wide receivers, and an up-and-coming staunch defense. This was a very smart signing by the Falcons. When you have your quarterback for the future, you do whatever it takes to keep him. Elsewhere in the NFL, the Seattle Seahawks are considered to be one of the Super Bowl favorites headed into this season. This is largely because of their stronghold defense, their emerging superstar quarterback Russell Wilson, and their brand new receiving weapon Percy Harvin. Harvin was going to be the big downfield threat for Wilson, and fans imagined him scoring touchdown after touchdown, and watching the Seahawks run up the score on helpless defenses. But now, it appears that Harvin might have a hip tear, something that could require surgery. If he did have surgery, that could sideline him for a considerable amount of time. Given this, the Seahawks are hoping that Harvin can recover WITHOUT surgery. It’s a risk, but one they’re willing to take, because they want to get the trophy this year. Harvin is a huge part of that goal. And finally, in basketball, it looks like two Gold Medals is enough for LeBron James. 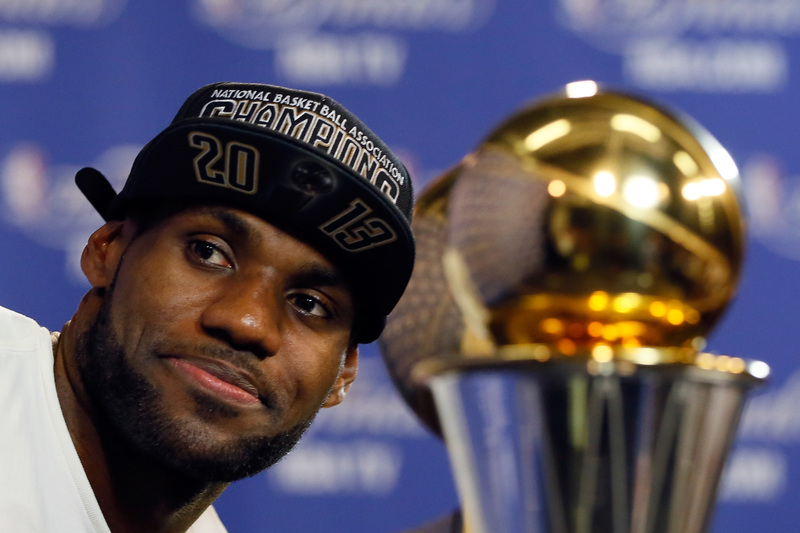 James is usually the staple of Team USA, but LeBron is likely done with that pursuit. He definitely contributed to the country’s gold status, but he’s at a point in his career where he doesn’t want the extra mileage of training for the World Championships and Olympics to take a tole on his overall health. He needs the time in the off-season to rest and get healthy for his main goal of winning championships. In his place, we will now likely see Paul George at LeBron’s position. LeBron is passing the torch, and it’s time for George to get the international spotlight. The Ryan Braun drama continues. Braun was suspended the remainder of the season for using performance-enhancing drugs, but now the problems are getting even worse for Braun. A local convenience store chain in Milwaukee has dropped Braun as their endorser. The guy is basically persona non grata in Wisconsin right now. To make matters worse, there was a big race for the NL MVP in 2011 between Braun and the Dodgers Matt Kemp. Tuesday, Kemp came out and said that the Braun should retroactively lose his MVP, as he was most likely cheating during that time. It will be interesting to see what Braun’s future holds, but, right now, it’s not looking bright. And in the NFL, the media finally got to the Patriots’ Tom Brady about his feelings regarding former tight end Aaron Hernandez. Hernandez was one of Brady’s favorite targets for two seasons, and it looked like the tight end of Rob Gronkowski and Aaron Hernandez was going to last for many years to come. But, as everyone knows, Hernandez is about to go on trial for murder, and the media wanted to hear what Tom Brady thought about it. Brady responded by simply saying that he has “moved on”. That he has learned a lot about mental toughness in his 13 year career, and that his job is to play quarterback to the best of his ability. Finally, in college football, some more violations may be afoot, and this time it’s one of the biggest rappers in the world. 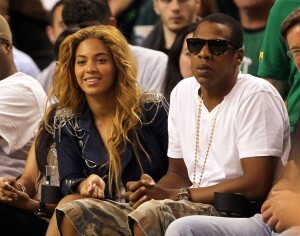 As most know, Jay-Z has recently started his own sports agency. He has been in contact with several of the NBA rookies, some established NBA stars, and even a WNBA star. Now, it’s reported that Jay-Z may have reached out to South Carolina’s Jadeveon Clowney. Clowney is a beast of a player, and likely to be one of the top picks in next year’s draft. And it’s quite likely that he will have a very successful NFL career, as his athleticism is truly a marvel to watch. However, speaking with agents is a violation for NCAA students. You can’t do that until you have declared for the draft. 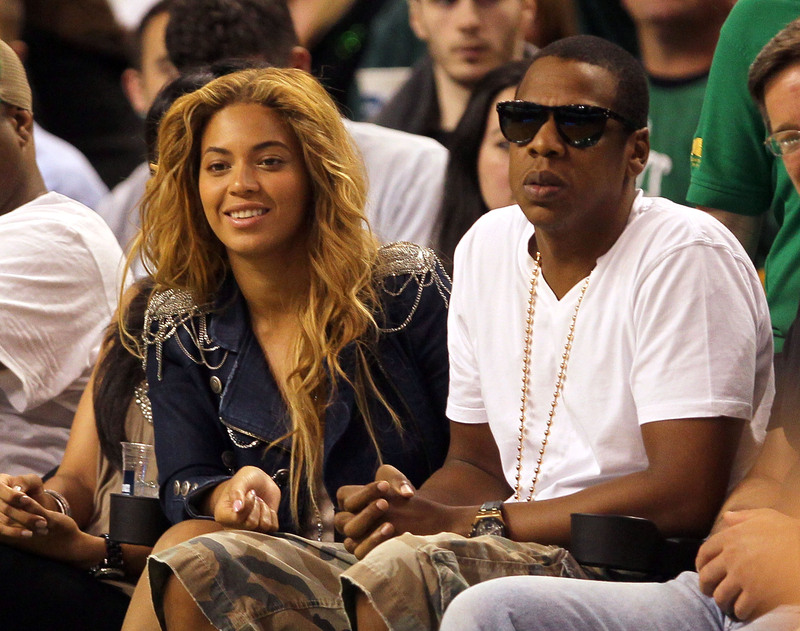 If Jay-Z and Clowney were in contact, that could mean penalties for the Gamecocks organization. Milwaukee’s star Ryan Braun has found himself in some serious trouble. Braun has always been under the microscope for using performance enhancing drugs. Two years ago, there was a major controversy surrounding him, as baseball suspected Braun of using, but he denied it, and they couldn’t prove it. Now, it appears that Braun is actually using PEDs, and the league has suspended him for the rest of the season. This time, however, Braun has not contested the accusation. Braun told people that he is not perfect, and he hopes to come back strong next season. In the NBA, Nate Robinson has been looking for his next home. Little man and former Slam Dunk champion Nate Robinson had a stellar post-season with the Bulls in May. He even almost led them to upsetting LeBron and the Heat. Robinson was an unrestricted free agent, meaning that he knew an excellent performance would probably help him yield a solid contract next season. However, there were no early biters. But now, it looks like the Denver Nuggets have come calling for his services. Robinson is a fast-paced player, and will fit in nicely on a Nuggets team that likes to run. This is a 2-year deal worth $4.1 million dollars, and Robinson still has a lot left to prove. This guy can be excellent if put in the right circumstances. And finally in the NBA, after a very disappointing start to his career, Greg Oden is ready to give it another go. The Portland Trail Blazers drafted him #1 overall in 2007 (ahead of Kevin Durant) and expected him to be their franchise center. However, he could not stay healthy, missing most or all of every season due to significant knee injuries. The Blazers had to let him go, but other teams may be willing to give him a chance. Those teams are the New Orleans Pelicans, the Sacramento Kings, and the Miami Heat. If Oden is somehow able to stay healthy and realize his potential, they would be getting a fantastic player on the cheap. It’s a risk for whomever is buying, but the reward is sky high. This weekend was the Open Championship. The big story was simply, Phil Mickelson. Mickelson started the day by a healthy 5 strokes off the lead. That is a large deficit to overcome, but Mickelson was confident and told his wife that morning over breakfast “I’m going to go out there and get a Claret Jug” (the trophy awarded to the Open winner). After he won, Mickelson had a very interesting quote. He said “You have to be resilient in this game because losing is such a big part of it”. Clearly he was resilient, and it helped him win the Open Championship. Congratulations to Phil. Team USA is still doing its best to qualify for the World Cup. The latest audition took place this weekend in the Gold Cup tournament against El Salvador. The Gold Cup is a tournament featuring the best soccer countries in North and Central America. Fortunately for the US, their aging star Landon Donovan is still showing flashes of brilliance, although, he still has to prove to the team that he is worthy of a spot on the World Cup team. It’s looking likely, and he definitely helped by scoring a goal and assisting in three other goals. This will probably be Landon’s last run with Team USA, but he’s making it count. USA 5, El Salvador 1. Finally, in some humorous news from the weekend, the Boston Bruins made Internet waves with some anti-Justin Bieber sentiment. A few weeks ago, Bieber was in the Chicago Blackhawks locker room admiring and touching the Stanley Cup. It seems innocent enough, except the picture showed Justin Bieber standing on top of the Blackhawks logo. Even that seems, harmless, but in hockey you simply do not step on the team’s logo in the locker room. And they especially don’t want 18-year old pop star pretty boys stepping on their logo. So the Boston Bruins put out a picture of their locker room logo roped off so that Bieber couldn’t step on it. Here’s the picture. In the NBA, it’s official, the Hornets name will return to Charlotte. The Charlotte Hornets burst on the scene as an expansion team in 1988. They eventually landed the #1 pick in Larry Johnson, and picked up Alonzo Mourning as the #2 pick a year later (after Shaquille O’ Neall). In fact, in the mid 90s, the Hornets were actually quite competitive, even making it to the second round of the playoffs one year. That was a time when the city was most excited about their franchise. The stands were packed, and the cheering was loud! Now, it’s official that the Bobcats will revert back to the Hornets in the 2014/2015 season. Charlotte basketball fans are excited. Elsewhere in the NBA, the likely #1 pick in next year’s draft Andrew Wiggins has publicly stated which team he would like to play for. Wiggins is committed to play for Kansas next season, but it’s almost a guarantee that he will be coming out after just one year. Now, Wiggins has said that he would love to play for his home country’s Toronto Raptors. Toronto has always been a perennial #9 seed, and have never been anywhere close to the top of the Eastern Conference. If they got Wiggins, he could propel them to a top spot. 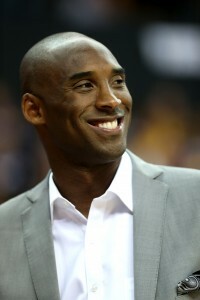 Finally in the NBA, everybody counted Kobe Bryant out after he had a serious achilles injury late last season. That was supposed to be an injury that was going to take at least 10 months to heal correctly. Add to the fact that Kobe is already in his mid-30s, and most assumed he would lose a step. Now, Lakers Vice President Jim Buss said that it’s possible that Kobe might be back for the pre-season. Apparently, his recovery is well ahead of schedule. In college football, there has been a lot of controversy around the Manning Passing Camp. This is a camp hosted by Peyton and Eli Manning in which they bring out some of the best young college quarterbacks and show them what it takes to make it in the pros. The #1 name in college football, Texas A&M’s Johnny Manziel, was forced to leave early. Many thought that it was because Manziel spent too much time partying, and was hungover one morning because he didn’t show up for camp. But Manziel said he merely overslept — that he was extremely exhausted, and his phone died. Either way, he was asked to leave the camp. And speaking of college football, the NCAA has ended its 20-year marriage with EA Sports. For 20 years, EA sports has made games with the NCAA Football franchise. They couldn’t have the real names of players in the game, but the jersey number always corresponded to the real life players. There have been a lot of lawsuits from players saying that their likeness has been used in these best-selling video games. EA Sports has denied that, but the lawsuits keep coming. So the players started to attack the NCAA, and the NCAA was tired of dealing with all of this, and just decided to let it go. Now, if EA Sports wanted to keep making the game, they would have to individually secure clearance from each of the schools in the game. Finally, in the NBA, the Lakers are clearly set for a mediocre season in 2013/2014. They will have Kobe, Nash, and a bunch of role players to make sure the show doesn’t get too boring. But the Lakers have said that they are not taking on any contracts past this season. This means, that after the end of year, they will pretty much have a clean slate in terms of their future. And now, the Lakers have leaked that they are going to make a serious run at BOTH LeBron James and Carmelo Anthony in the next off-season. It may be tough to secure James, but they will surely be offering a handsome paycheck. Yesterday marked an event in baseball that causes a fuss every season. After all the pundit and social media arguments about who should and should not be an all-star, we finally got to watch this all-important all-star game. Remember, whichever wins the all-star game gets home field advantage in the World Series. This is a rule that baseball purists hate, because it doesn’t really make any sense that an exhibition game that is more for entertainment should have such important consequences. The game was held in the New York Mets stadium, so that meant that the National League were designated the home team. The game was more of a defensive battle, and the American League held the National League to just 3 hits with their stellar pitching. Baltimore’s J.J. Hardy and Cleveland’s Jason Kipnis had clutch hits for the American League to drive in runs. The National League couldn’t seem to get anything going. In the 9th inning, trailing 3-0, the National League had one last chance, but couldn’t pull it off. 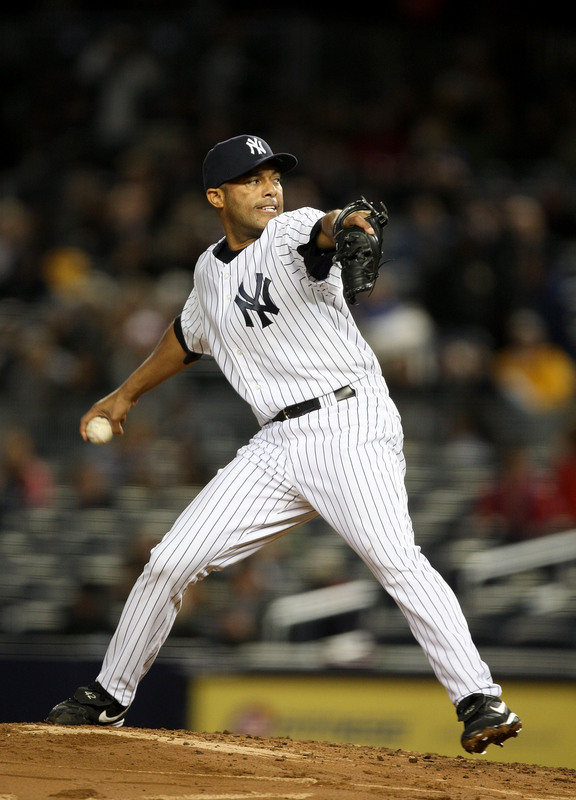 The game was nothing special to remember, except in the 8th inning there was a phenomenal standing ovation for long-time Yankees relief pitcher Mariano Rivera. This guy has been an all-star staple for the last 16 years, and to see him play in his last game was a real bummer for baseball fans. He took the mound and the cheering didn’t stop for a full minute. Just a great moment. And in the NFL, Carolina Panthers quarterback Cam Newton came out publicly and said he was still an Atlanta Falcons fan. He said he grew up rooting for the Falcons and Michael Vick. And just because he is in the NFL now, and in the Falcons same division, it’s still tough to stop rooting for your beloved favorite team. 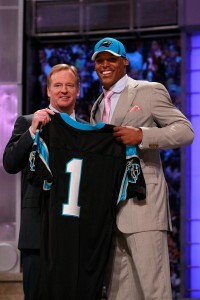 However, Newton did say that he’s NOT a Falcon fan when they’re playing the Panthers. And speaking of the Panthers, Nike had to pull a shirt off the market that showed the Panthers logo with the insignia “NC” on them. Why? They printed NC over the state outline of South Carolina. Proud South Carolinians didn’t like that.